This graphic maps areas of conflict in the Democratic Republic of the Congo (DRC) and how they overlap with key natural resources found in the country. 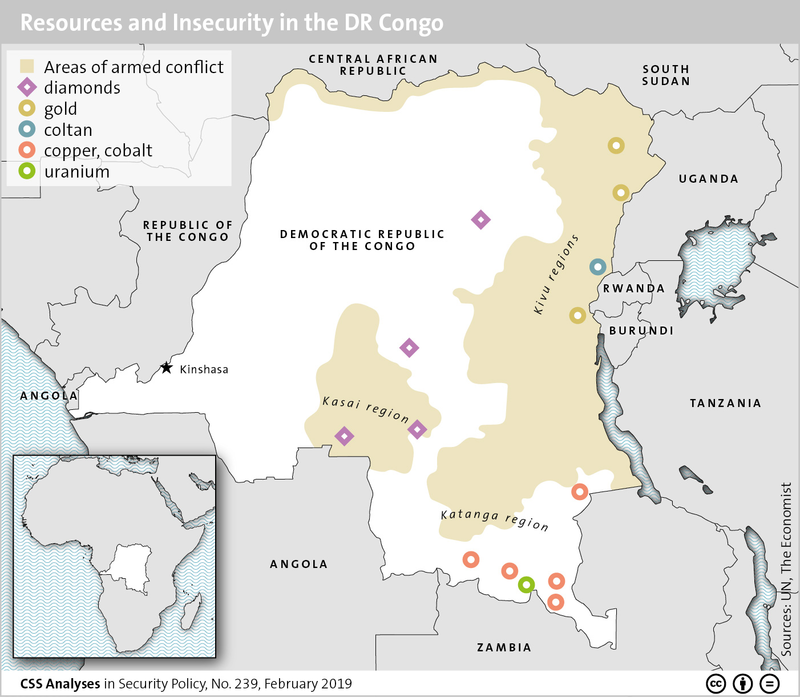 For an analysis of the political system in the DRC and its ramifications for security governance and economics, see Larissa Jäger and Benno Zogg’s lastest addition to the CSS’ Analyses in Security Policy series here. For more CSS charts and graphics, click here.